Drunkenness has both subjective and objective aspects. The subjective aspect is the altered state of consciousness. On the other hand, the presence of certain amount of alcohol in blood plasma, or being unable to walk on a straight line are the objective aspects. Now is the statement "I'm drunk" subjective or objective? Drunkenness is a simple example. However, if we accept physicalism, or more specifically the idea that every conscious experience is related to a unique pattern in the brain, can we conclude that all statements are somehow objective? Objectivity is a central philosophical concept, objective means being independent of the perceptions thus objectivity means the property of being independent from the perceptions, which has been variously defined by sources. Generally, objectivity means the state or quality of being true even outside a subject's individual biases, interpretations, feelings, and imaginings. Hence an objective statement is one that can be independently verified against some kind of standard or definition, and where different people will arrive at the same conclusion independent of their own interpretations and/or biases. Subjective experience — or "Qualia" — on the other hand is an experience that is not measurable. A subjective experience exists only in the mind of the observer, and different observers seeing the same thing make come to different conclusions. The Internet have made famous two such instances: The Dress and Laurel or Yanni. There is one thing that can cause a bit of confusion because we use shorthand when expressing ourselves. Sometimes — but not always — when we say "That thing is...", what we actually mean is "The way I perceive that thing, it appears to be...". In cases such as the question or The Dress and Laurel/Yanni is becomes important to distinguish between these things. 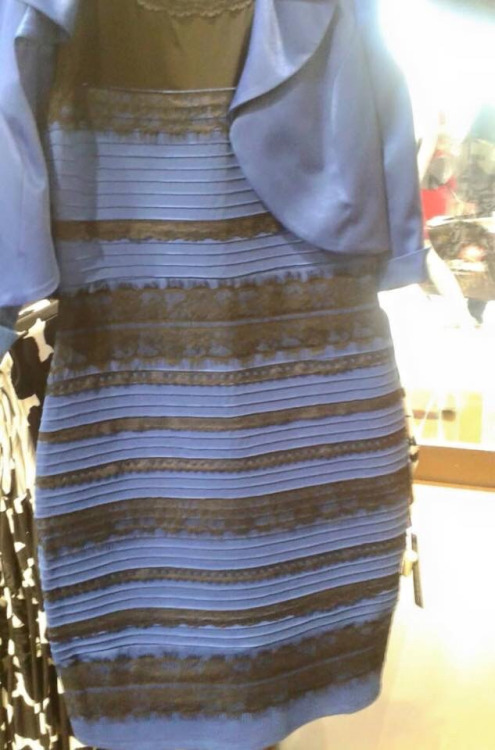 In the case of the dress, I would need to say: "The Dress is black and blue, and I perceive it as white and gold". So what about "I'm drunk"? Do you mean "I am — objectively speaking — drunk", or do you mean "I perceive myself as drunk". This is ambiguous and can be interpreted in both ways. So which is it? Well there is no common standard for "drunk". There are however concepts such as "legally intoxicated". Since intoxication means impairment, most jurisdictions mandate that you may not do certain things when you are impaired... things such as driving. And for that purpose, legal systems define standards for intoxication, standards by which you can compare a person's level of intoxication by looking at their blood alcohol content (BAC). The statement "I'm Drunk" is — in all probability — both an objective and a subjective statement. No, not all statements are (somewhat) objective, because you can be subjectively right but objectively wrong. They key is that perceptions exist in your head, and as such are not independently verifiable — or may even be opposed to the corresponding objective assessment — and therefore not objective. There are less ambiguous distinctions that can be made about say, being drunk. There is a first-person account, which would also always be subjective, and a third-person account. The first-person account will be about how it feels to be drunk, and the third person account will be about the altered behavior of a person who is drunk. The amount of alcohol in someone's blood, or the amount of blood in someone's alcohol as the case may be, is not an objective indicator of either first or third person drunkenness. Another distinction that can usefully be made is between description and explanation. The description can be either from a first or third-person perspective, and the explanation may be the amount of alcohol consumed, which would differ for every person. Not the answer you're looking for? Browse other questions tagged subjectivity objectivity or ask your own question.